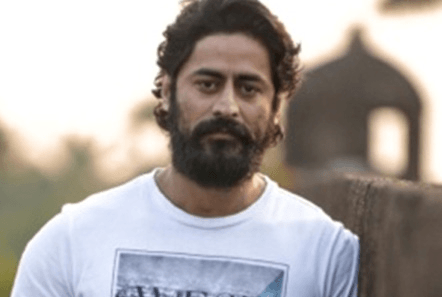 He has made a name for himself as a television superstar in mythological and historical dramas like Devon Ke Dev – Mahadev, Mahabharat and Chakravartin Ashoka Samrat, but Mohit Raina started off 2019 with a winning debut in hit film Uri: The Surgical Strike. Playing a parallel lead in the first Bollywood blockbuster of the year looks like being a major springboard for a cinematic career for the talented TV star. 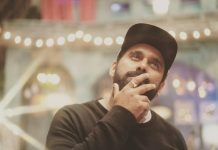 Eastern Eye’s Mohnish Singh caught up with Mohit to talk about the success of Uri: The Surgical Strike and his future plans. Your film Uri: The Surgical Strike has done wonders at the box-office. How does it feel to make such a smashing Bollywood debut? It feels great. Somewhere down the line, I knew the film would perform well at the box-office. Making my big screen debut with this film was a calculated move because I knew Vicky Kaushal was playing the male lead in it, and hence the movie would do wonders. And I am being very serious when I say so. I knew Vicky was heading the show and the film was going to have a successful journey because of the kind of work he has done. We all know where he started from and where he has reached and also, the diverse range of characters he has played in his career so far. So, I knew the film would do exceptionally well upon its release. You are one of the most popular actors on TV having done many major shows. So, after plunging into films, will television take a backseat? I had already decided that after venturing into cinema, I would only focus on films and digital platforms. I will not take up television projects as they demand a very long commitment. I have been a part of some beautiful stories on television. Now I wish I get some great stories to do in films as well. Let’s see how things unfold. You have made a name playing mythological and historical characters on TV; you must be happy Uri gave you a platform to showcase a different side to your acting? Yeah, absolutely. That is why I made this transition to films from TV. You have to understand that the reach of cinema is very different. If I am getting such terrific responses for my performance in a film in such a little timeframe, that is enough to show that our audience is really changing. There is a different audience for TV and cinema. The audience that watches cinema has reacted to my character in a fabulous way. I thank my writer-director for giving me such a wonderful opportunity. Aamir Khan is rumoured to be working on a mythological film. Would you like to be part of such films? (Laughs). Oh, yeah. If the film is being made by an actor like Aamir Khan, who would not like to be a part of it? You must have been offered many films before Uri: The surgical strike, right? Yeah. But to be a part of good scripts is very important for me. So, that is what I was waiting for. When Uri came my way, I thought this was the script I would like to be part of. So, I agreed to do it. Would you like to share any special compliment that you received for your performance in the film? There are loads of them. My social media accounts are filled with compliments. I knew that people would like my performance in the film, but I never thought their reaction would be so elaborate and massive. It is very, very touching. Mohit, you mentioned that you want to do a digital series along with films. Have you received any offers for a web-show? Yeah, I definitely want to explore the digital world. I have already finished a digital series. It will be officially announced very soon. But after Uri, let’s see what happens. Many actors have moved from television to films. But today some of them have an issue if anyone addresses them as ‘television boys’. How do you want yourself to be addressed as from here on? As a human being. You cannot take your childhood away from your life. The same way, you cannot take away the base where you were launched. Today, I am called a TV star. Whatever I am today, it is just because of the television fraternity, and I am proud of that. I am proud to be called a television boy.